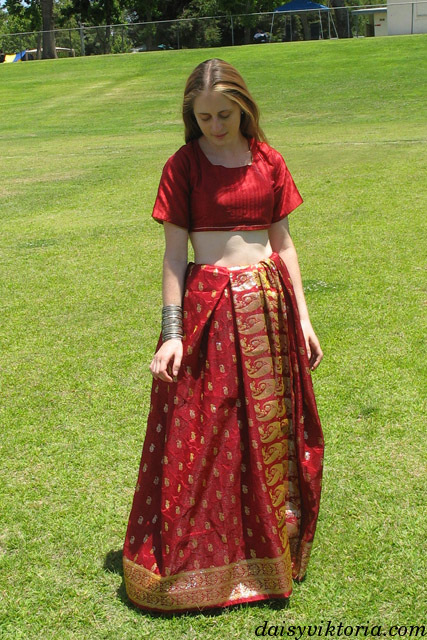 The sari is a long piece of fabric that is pleated into the waistband of the underskirt. 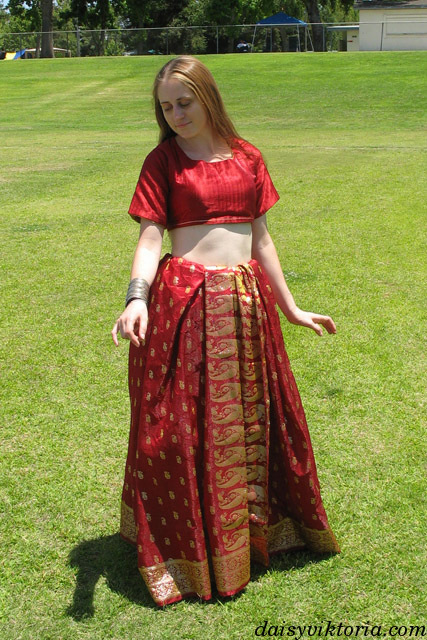 It is worn over a choli, the short sleeved top. 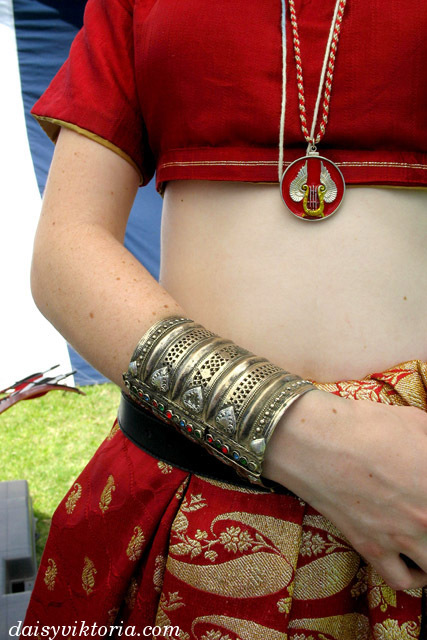 The sari was worn in many ways, and this represents one of them.